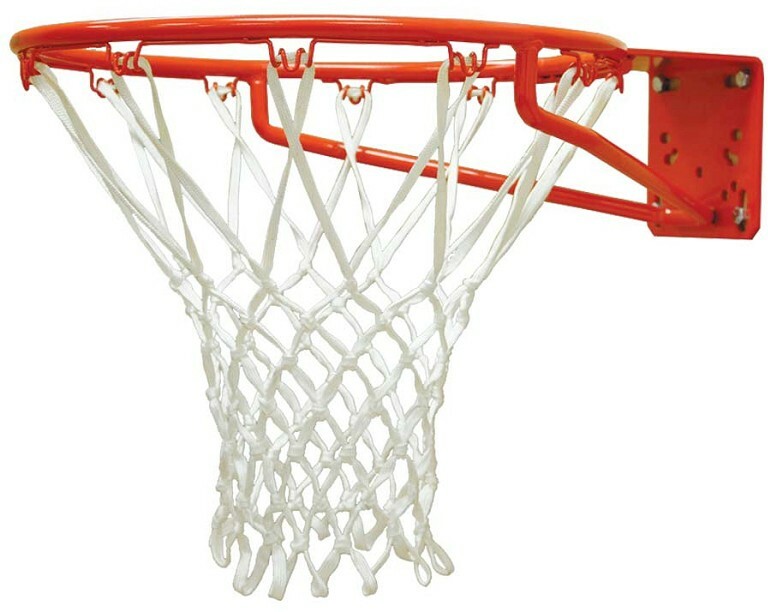 5/8" reinforcing bar gives "super support"
The Jaypro single rim basketball goal has a high-tensile alloy rim that is 1-1/2 times the strength of normal rim material. The 5/8'' high-tensile alloy rim is 1-1/2 times the strength of normal rim material. Full 5/8" computer designed reinforcing bar gives “super support” when a player suspends from the goal. The additional 5/8" brace strengthens the vulnerable joint between rimand backplate.